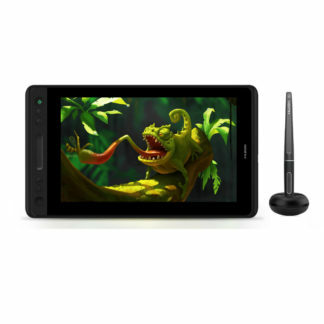 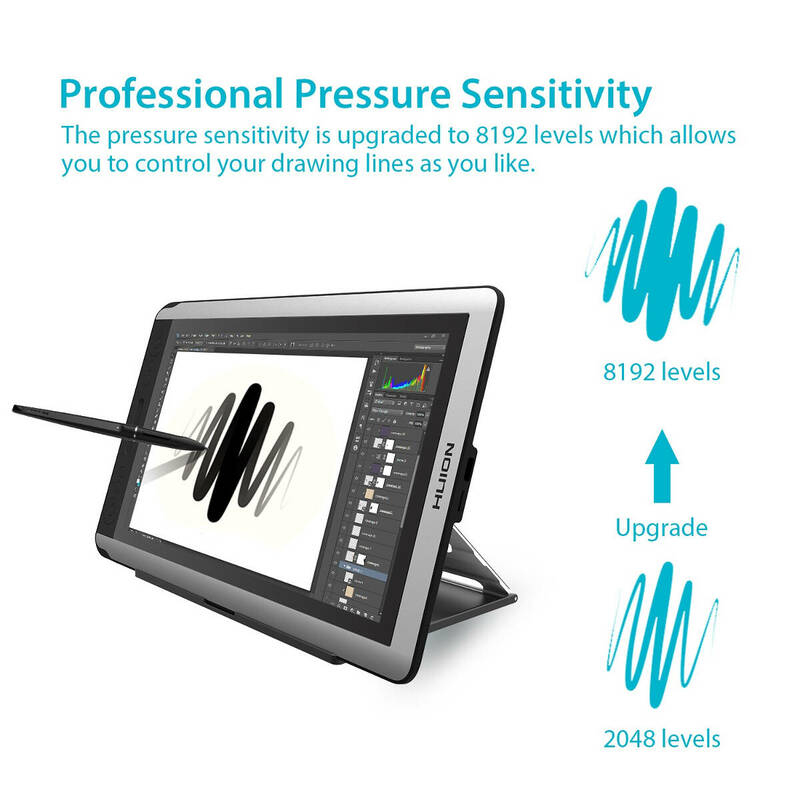 Upgraded from previous version, GT-156HD V2 has 8192 pen pressure levels. Heaviest stroke or lightest hairlines, you can rest and enjoy this amazing accuracy. The 15.6 inches screen provides ample working area. GT-156 HD V2 is slim and light- 15 mm in thickness and weights 1.5 kg only. 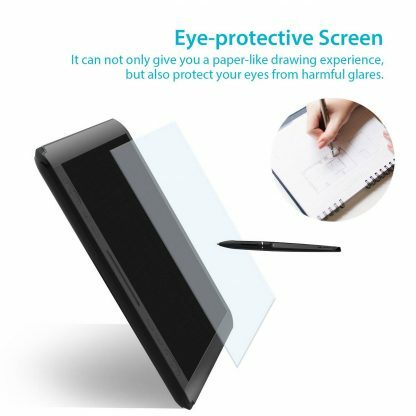 It is portable, easy to carry around. 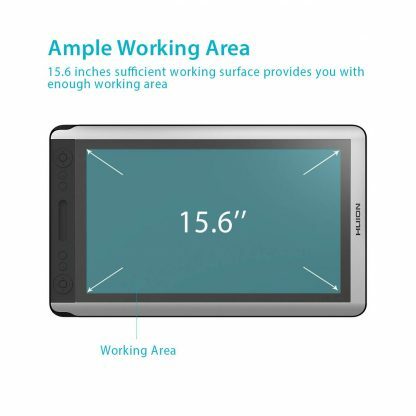 Your workplace could be quickly setup anywhere. 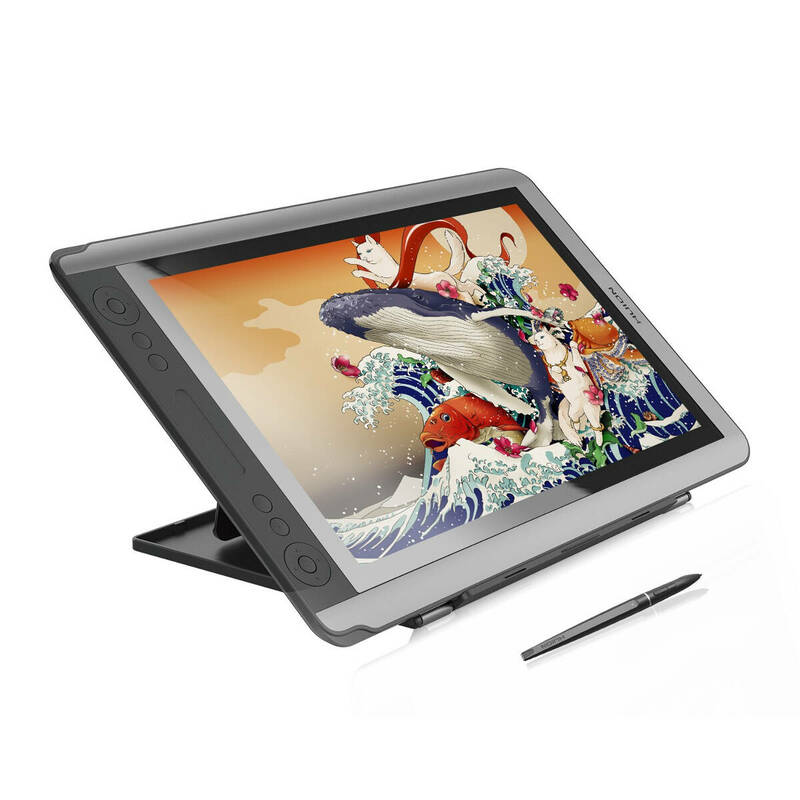 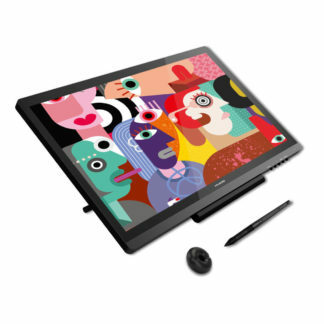 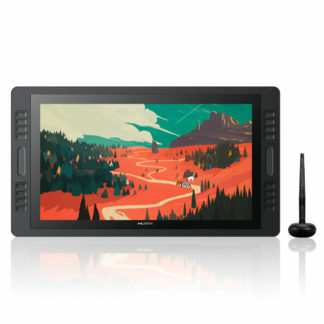 Intuitive display screen brings you natural creative experience – you can work directly on the screen – what you see is what you draw. 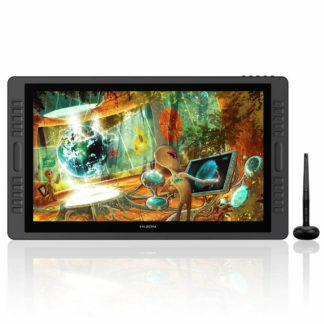 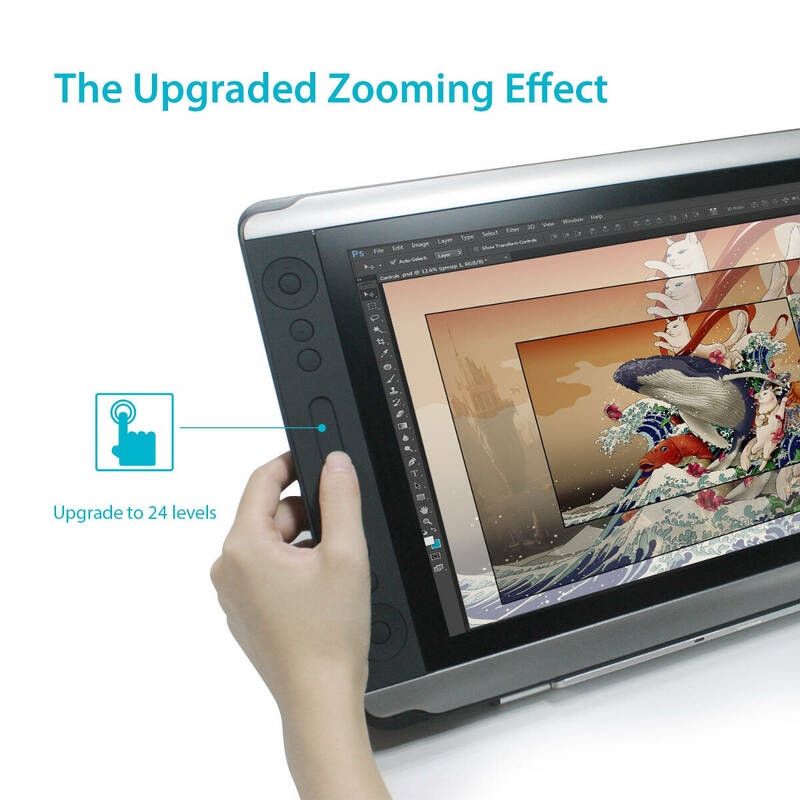 Full HD resolution 1920 x 1080 presents details of your artwork with accuracy. 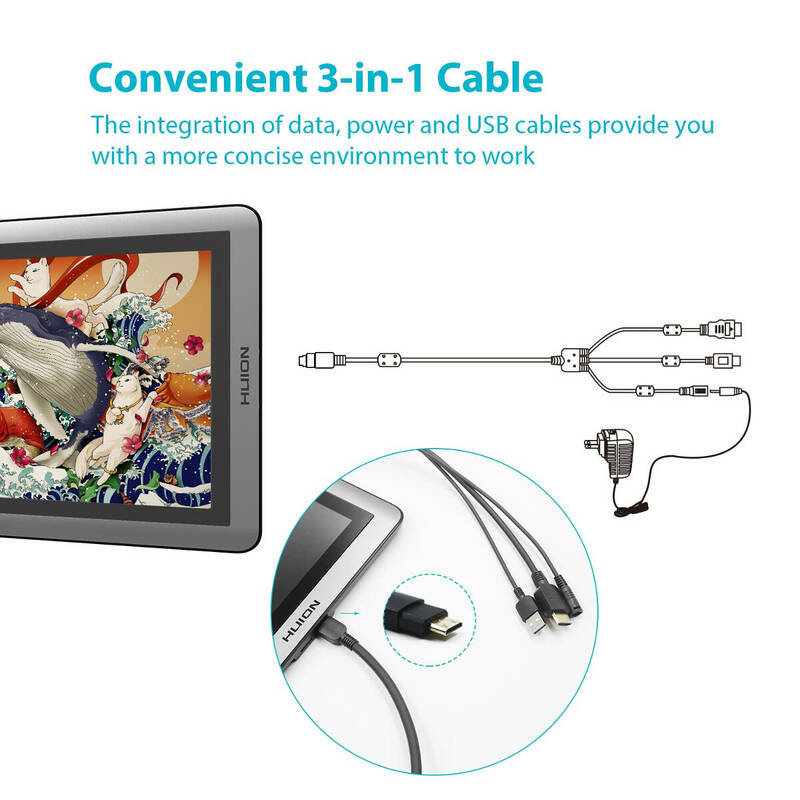 Specially designed 3-in-1 cable – HDMI, power and USB – for GT-156HD reduces cable mess on your desk. 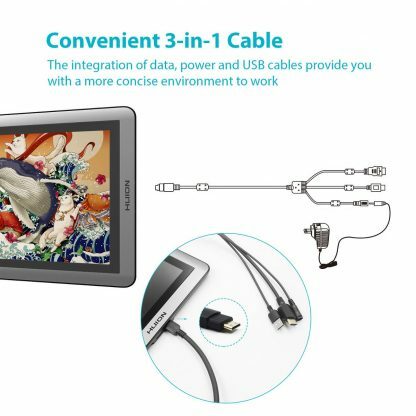 And setup is easier than ever. The PE330 pen is light weight, ergonomic and comfortable, with 8192 pressure levels. You can draw smoothly with accurate control of brush width and transparency/opacity. Set your monitor GT-156HD V2 working angle with detachable monitor stand according to you preferences. 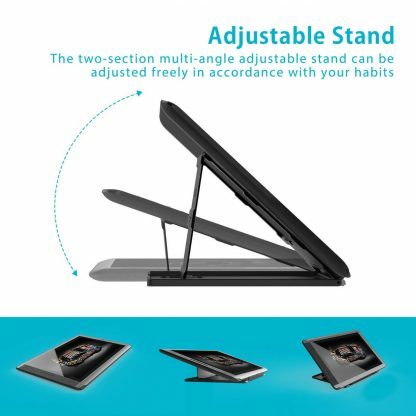 Or you can just put it on your desk. 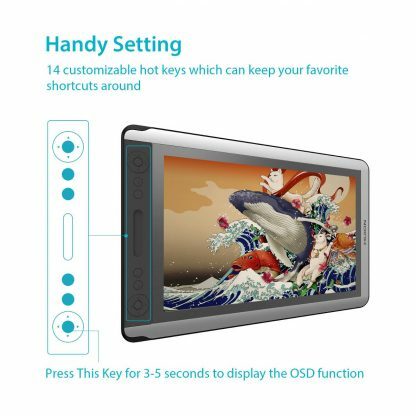 14 press keys and a touch bar increase your work efficiency. 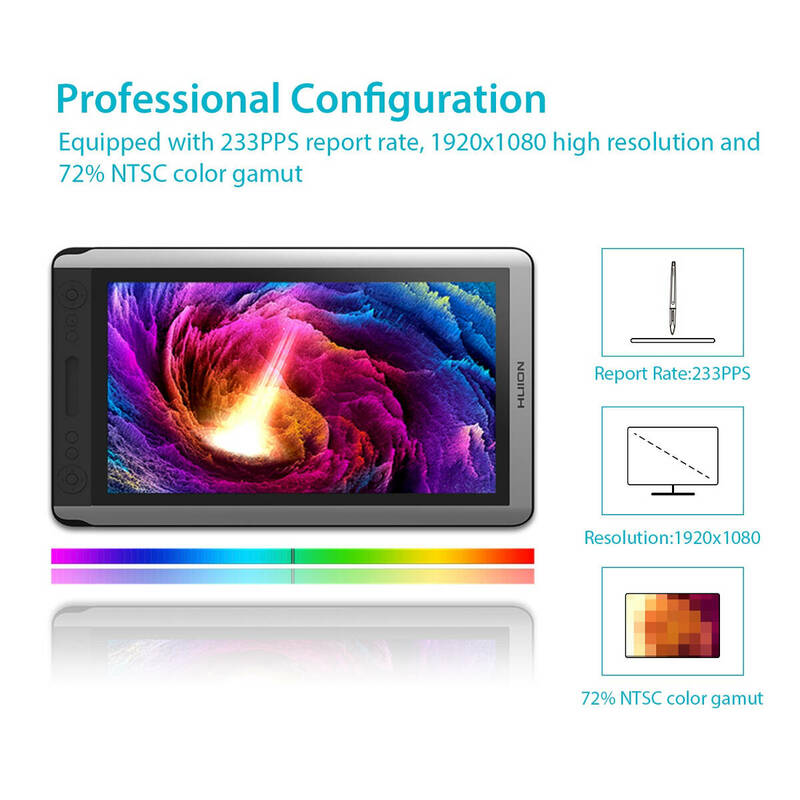 IPS display is capable of displaying 72% NTSC color gamut and colors are amazing and vivid. 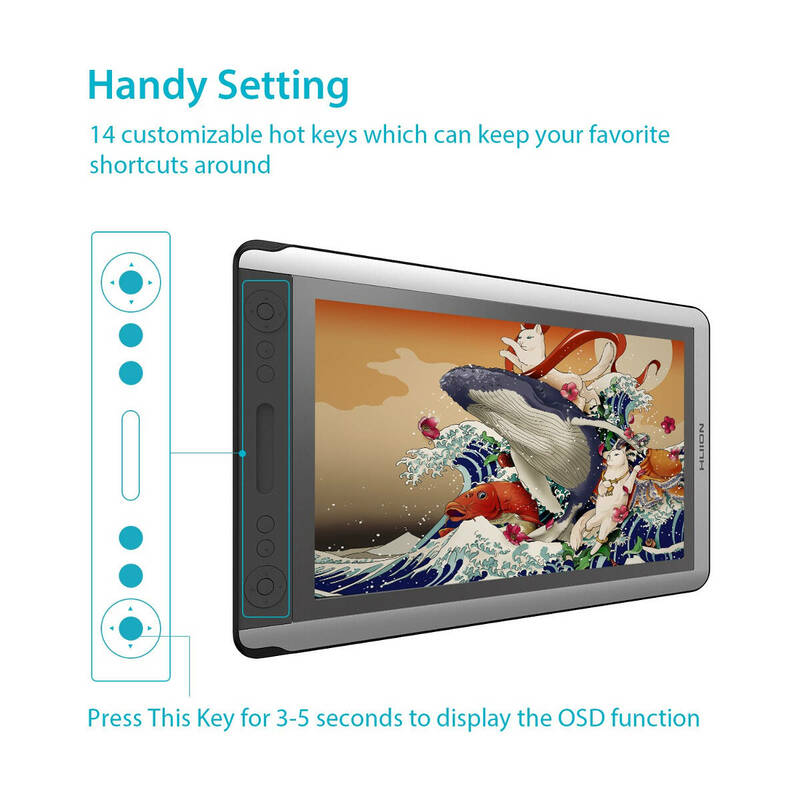 You can simply adjust color configuration; just push the center button on the bottom ring of express keys and OSD functions will appear. 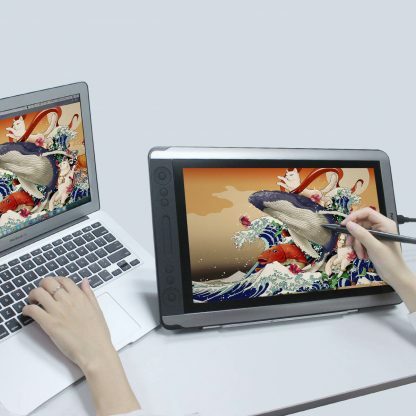 OS Compatibility: Windows 7/8/8.1/10, Mac OS X10.11.0 or above.